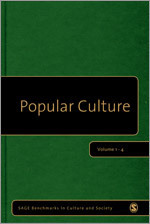 “Popular culture is as debated as it is pervasive. It is pervasive in that the symbolic worlds in which we live and out of which we construct sense are in many different ways, understood as and within popular culture. It is debated that it has been polarized as a negative or positive counterpart to other dimensions of cultural activity.” Click here for more.